Everyone was expecting Apple to release an ultra-portable notebook at this year's Macworld 2008 expo, and Steve Jobs didn't disappoint. Jobs revealed the aluminum-bodied MacBook Air is 0.16" at its thinnest point, 0.76" at its thickest point and weighs just 3.0 pounds. Jobs played up the fact that the MacBook Air is thin enough to fit within a standard manila envelope and new Mac TV ads will center on this ability. “When you first see MacBook Air, it’s hard to believe it’s a high-performance notebook with a full-size keyboard and display. But it is,” said Jobs. 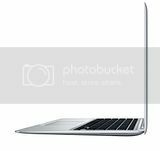 The MacBook Air features Intel Core 2 Duo power (1.6GHz standard, 1.8GHz optional), 2GB of memory (soldered on and not upgradeable), Intel GMA X3100 graphics, a 13.3" LED-backlit display and an 80GB, 1.8" HDD for storage duties. 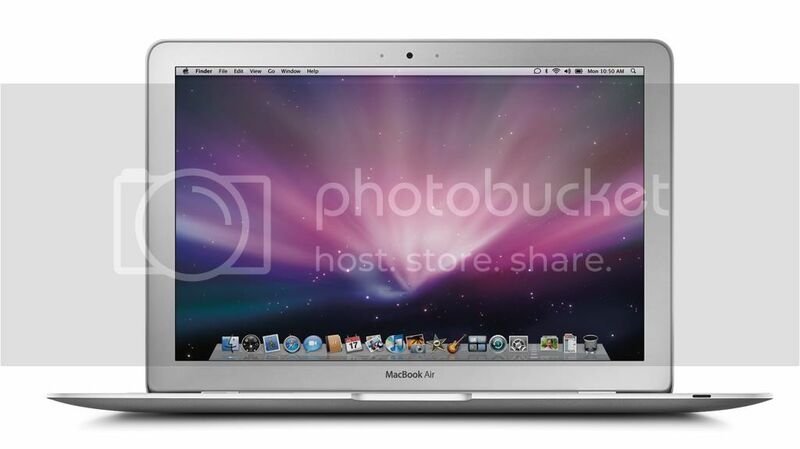 A 64GB solid-state disk (SSD) is optional on the MacBook Air -- Steve Jobs notes that "They're pricy, but they're fast." To keep its thin form-factor, the MacBook Air makes do with one USB 2.0 port, a micro-DVI port and an audio-out jack. Other features include the requisite iSight camera and full-size, backlit keyboard. Apple includes 802.11n WiFi and Bluetooth 2.1, but there is no WiMAX, EV-DO or HSDPA in the package despite the "Air" moniker. There is no Ethernet port due to space/size restrictions and there is also no built-in optical drive although Apple will gladly sell you an external SuperDrive for $99. Perhaps the feature that will be most talked about -- besides its thin, aluminum frame -- is the Multi-touch trackpad. MacBook Air owners can use the same gestures that iPhone and iPod touch users have grown accustomed to (tap, scroll, pinch, rotate and swipe) to manipulate windows, picture and other items on the screen within OS X.
Apple claims that the MacBook Air can operate for up to 5 hours on its standard battery which is quite good for an ultra-portable notebook that is so thin. By the way, the battery is not user replaceable. You'll have to ship your notebook off to Apple if your battery dies. Pricing for the MacBook Air starts at $1,799 USD. It can be pre-order from the Apple Store today, but units won't begin shipping until two weeks from today.